My venture into electronics already started from a young age. I was always interested into electronics, already from a young age. I wanted to know how everything worked, but was never stimulated into this by my parents. Now that I near 30, I am my own boss, and need to make my own decisions on what I want to do with my finite time on this planet, so I decided to give it a try. 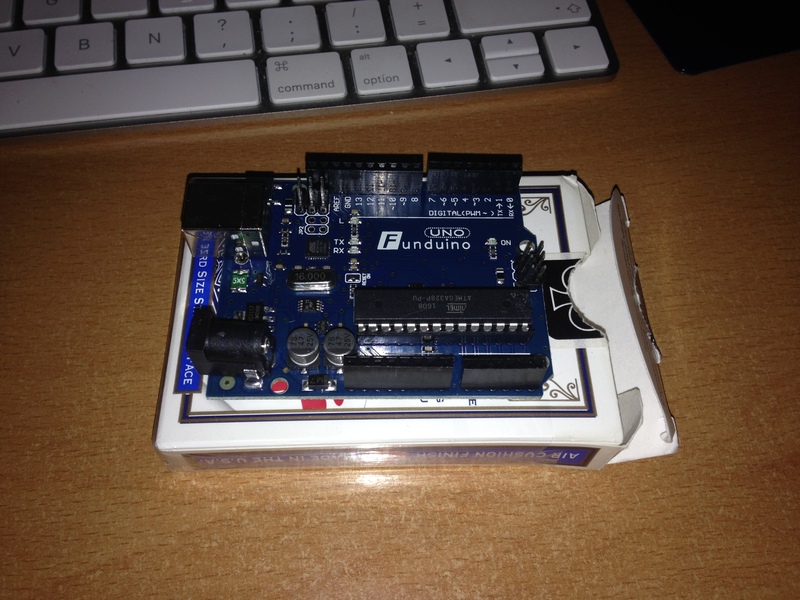 A funduino Uno, together with a kit, with all kinds of electronics. Cheaper than the official Arduino kit, but just as fun. I knew nothing about electronics, but the projects online provide me with enough material to work through. I also found tutorials on how to program with the Arduino and Python (which I’m also learning at the moment). Quite exciting actually, because I already have grand visions of salvaging parts from other computers, to use in my own projects, something I didn’t have before I started with this.